That is a beautiful picture right there, wish I had taken it,I just can’t get my phone camera to take such magic. Oh well it’s a National Day and I wanted to help celebrate. This is from “The Creativity Exchange” she has a really cute blog. 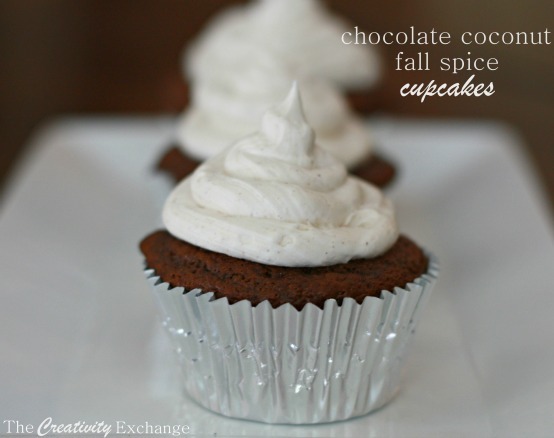 I have not made these yet but like you after seeing this I am going to make them before Thanksgiving!! Love Chocolate and Coconut together so I pinned this for future baking. Hope you enjoy and let me know what you think if you make them before I do.Take close note to the tips she gives in Step #1. I have heard of this before and I think it is what helps step up a box recipe to a homemade taste.Love the whole Semi-Homemade thing she has going on, it just works for us people who have busy schedules but still want to call it your own, Semi anyway. Thanks for the Inspiration Creative Exchange! 1) Glenda, my expert cake baker neighbor, always substitutes the exact measurements of water with buttermilk when making box cake mixes. She also recommends substituting melted real butter (cooled) for the same measurements of oil. It makes a HUGE difference and it makes the cake texture more like homemade. She also adds one more egg than what the box mix requires. This is such great information to know because it really does make a big yummy difference and makes box mixes taste homemade! 2) Preheat the oven to 350 degrees. Mix cake mix according to box and the substitutions above. Add 1/2 teaspoon of the coconut flavoring, 1 teaspoon pumpkin pie spice and 1 teaspoon cinnamon and mix together. 3) I baked my cupcakes exactly 26 minutes and they were perfect. Let the cupcakes completely cool. 4) Mix the ready-made buttercream frosting in a mixer with the powdered sugar (to stiffen) and add the remaining 1/2 teaspoon of coconut flavoring, 1 teaspoon cinnamon and 1/2 teaspoon of pumpkin spice. When I make these again, I will add 1/2 cup of flaked coconut into the frosting. I think it would really enhance the coconut taste. I piped on my frosting and I left some plain and others I sprinkled with coconut and cinnamon.